When I first spoke to Christina about birth photography (for that sweet little news piece on birth photography! 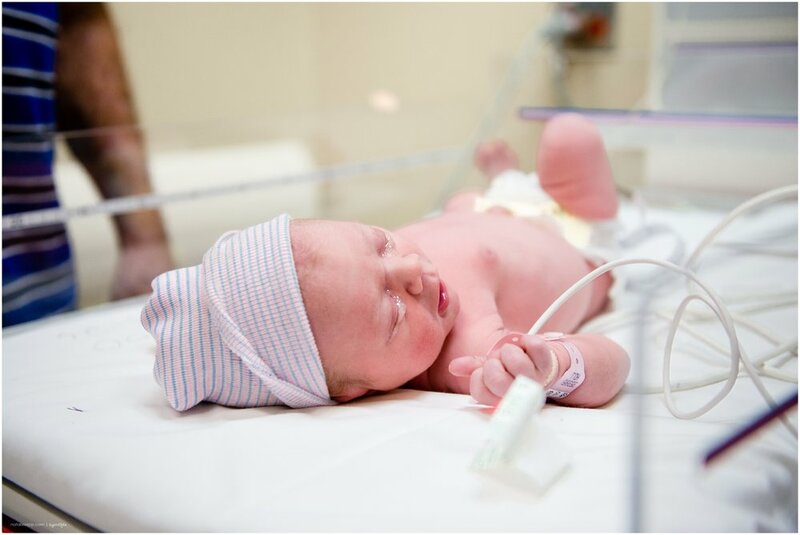 ), she wasn't so sure about having a camera in the delivery room. Of course, I understood... Pensacola Birth Photographer It takes a big leap of faith to trust a virtual stranger to capture such an intimate and vulnerable moment. But as we were wrapping up her maternity session, Christina told me that she and Milan had decided that they would like for me to be there when their baby was born. It took me a bit by surprise, but I was so happy that the desire to have those moments captured, outweighed their inhibitions. In the end, labor (plus a high fever) was pretty rough on Christina. When I delivered her images, she wrote back, "You are right that you do forget the whole thing! It is so special to have it to look back on." And how flipping sweet is Milan, brushing his wife's hair!? He did her make up before I arrived too! You guys are precious! Thank you both for trusting me with your most private family moments and congrats on your sweet baby girl. I am so happy to have been there to preserve these memories for you! Be sure to leave a comment below to help Milan and Christina earn a FREE 8x10 mounted print from their session. They need 50 people to comment to win!